Summer is coming to a close and autumn approaches, which means that canning season is here! While we have always enjoyed these preserved-at-home treats, we have only just made our first foray into canning. While were twiddling our thumbs, waiting for the garden harvest to mature, our neighbor Dan from the Shady 80 fearlessly went into the wild to harvest nature's bounty of prickly pear cactus fruits. Armed only with a plastic bucket and a pair of grill tongs, he collected some of the prickly pear tunas and made a fruit juice at home with a little sugar. He raved about how tasty and refreshing his juice turned out, which inspired us to grab the tongs and a bucket, too. Not surprisingly, perhaps, it turned out that gathering the spiny fruit was actually the easiest part. Then the tunas had to be cleaned, cooked, and pulped with a potato masher. Finally the mess was filtered through cloth and we had over a gallon of primo cactus fruit juice in one hand, and about ten pounds of leftover skins and seeds (pomace) in the other. The pomace went to the compost, but one day we could dry it out and pulverize it into flour (apparently people are doing this with wine pomace, already). Now that we have so much tuna juice in the fridge (disclaimer: no fish were harmed, only cactus tunas were used), we have a lot of jelly to make. Cooking the juice with sugar and pectin isn't hard, or very time consuming. Priming, filling, and processing the jars is a little intimidating. Doing both and having everything ready to go at the critical moment is hard (so is not making a huge, sticky mess). Eating the finished jelly is really easy, though. Casey's on his second 10oz jar. And we've got a lot of beta-testers out there, chowing down on the cactus confection. We're looking forward to their feedback (and hoping to get them hooked so they'll buy some at the farmers market later!). A Texas persimmon at the Lake Ament picnic area. Meanwhile, we've been looking around and noticed how well the Texas persimmons are doing this year. We found another Texan blogger who has successfully made jelly from the dark, sweet fruit, and perhaps we can give his recipe a try this summer. It probably wouldn't be a bad idea to plant a few female trees around the homestead! Dark, sticky, messy, and delicious! Since we began in earnest this spring, our garden has been a wonderfully fun experiment with a respectable amount of success, to boot. Above are our first two pumpkins harvested. The one on the left weighs 14.2 pounds, and the one on the right weighs a little less, 11.2 pounds. But after those first two were harvested a couple weeks ago, there seemed to be no more pumpkins, sadly. So I decided to brush up on my third grade botany, and quickly realized that the male and female flowers are easy to differentiate. You can see above that the male flower on the left has a single anther, and the female on the right has a stigma with several fronds. Behind the showy part of the flower, the female flowers have a very noticeable ovary, or as I like to call them, proto-pumpkin (below). After observing the flowers over a few days, I noticed two problems. Not only did males flowers outnumber female flowers three-to-one, but the female flowers were not developing into fruit! Instead, the little proto-pumpkins shriveled up a day or so after the flower withered. Woo-hoo! These squash plants have been so easy and fun to grow, I can't wait to try some interesting heirloom varieties next time. I have a particular weakness for Cinderella (AKA fairytale) pumpkins, which are supposed to be as tasty as they are pretty. I also have a passion for Halloween and Dia de los Muertos, so I am really looking forward to autumn this year. But that's not to say I want summer to be over too soon. So far, the summer of 2013 has brought us a lot of rain. In July alone we were lucky enough to get 3.6 inches of precipitation. Rain also spurs almost every desert critter to reproduce. We've tolerated the mosquitoes and other annoying bugs, but the worst plague so far has been an onslaught of caterpillars that came to a head last week. The green monsters decimated both the pepper plants and the cabbages in our garden. Thanks to their rapacious appetites, our first promising pepper was a very sad, premature harvest. If you like our Facebook Page, then you might remember that back in March we were gifted a cutting from a Terlingua Creek cottonwood tree. We planted that cutting (basically just stuck it in the dirt and watered it) in front of the Last Resort, and it has really been growing like a weed, despite the constant nibbling of insects. On the left is the original cottonwood tree cutting just after we got it home. It was just over 12" long back on March 20th of this year. About four months later, it stood four feet tall and didn't show any signs of slowing down. It has already grown inches in the days since the photo on the right was taken. The sapling is a reminder that despite the many challenges, it is possible for something not only to survive, but even thrive. 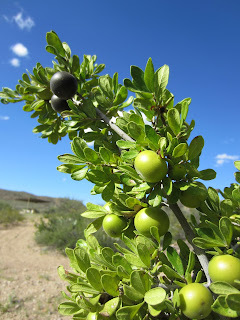 Every day we learn more about gardening in general, and about the peculiarities specific to growing in the mountains of the Chihuahuan Desert, but there is still so much wisdom yet to be acquired. We are very pleased to tell you that the swimming pool at the Lajitas RV park is now solar heated! Using an existing array that was never fully installed, we were able to complete the project, meaning that the solar-thermal collectors pictured above are no longer only decorative. Solar-thermal is also part of our Grand Scheme for a low-impact home, for both hot running water and hydronic heating in the winter months. 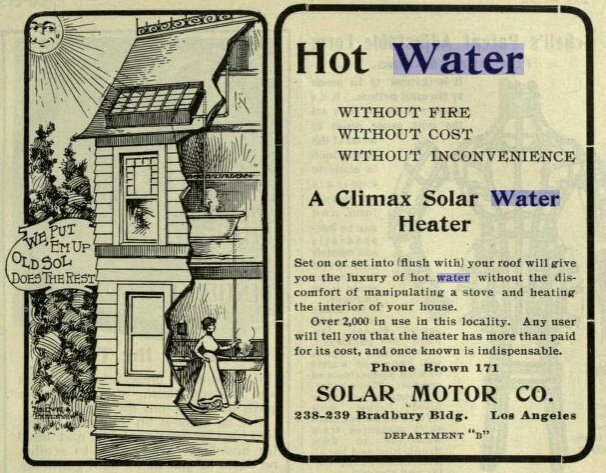 The concept of solar-heated water is pretty simple, and has been used for over 100 years. 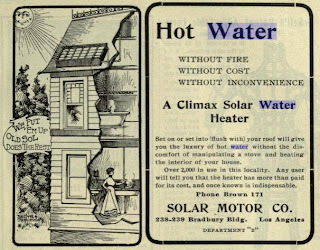 Everyone should be using solar-heated hot water! We are always surprised to find people using electric or gas water heaters out here, where there is so much sun and heat. 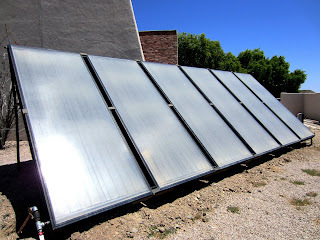 A basic solar batch heater can be made inexpensivly using an insulated box with south-facing glass and a tank of your choice. Plans can be found on the Mother Earth News website. A very exciting trip to Alpine today. 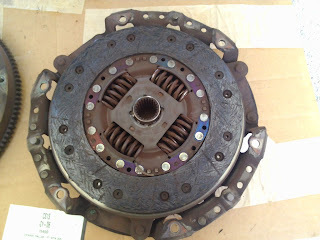 We were just 15 miles or so away from town when the clutch gave out on the little Ranger. Truthfully, we knew it was due to quit but wanted to eke out every last mile before replacing it. But on the way to Alpine, with a bed full of trash and recycling, was a very inconvenient time to die! We are very lucky, though. After a few cars passed us by, our friend and neighbor Kevin Elmore (of Green Scene land restoration demo fame) stopped to help. We managed to get a tow back to the Ranch, and we'll be ordering up all the necessary parts soon. Looks like we'll be in the shop this weekend. April 6th was the 5th annual Green Scene, and we got to power the event for the third year running. We built a SunStation just for the job, our smallest and most cost-effective model ever. Version 3.0 has 570 rated watts of PV modules, four deep-cycle flooded batteries, a digital PWM charge controller, and a 2300W 24V modified sine wave inverter. We always have so much fun, and this year was the best ever. We gave a demonstration explaining the basic principles of solar power and living Off Grid. Our friends and neighbors Tim McKenna and Kevin Elmore teamed up on a very informative demonstration on reclaiming the desert land using simple techniques and proven principles. There was so much else, I can't even begin to cover everything. Between the stand-up comedy and belly-dancing, there were lots of great demonstrations and educational materials. And as always, tons of great, fresh food. Instead of the normal five eggs we get each day, today we got seven and a weird little bonus huevo. A few days ago we traded some solar equipment for a used plasma cutter and finally got around to trying it out last night. Can't wait to put this thing to work! We also helped out a neighbor this morning and she was kind enough to give us this small dog pen. We don't know exactly what we will do with it yet, but it is very nice and in excellent condition. We sure have some kind and generous folk out here. Spring has officially sprung! And thanks to all that glorious winter precipitation, the vernal flowers seem to be exploding! Almost every yucca is blooming or about to bloom, there are bluebonnets up and down the roads, ocotillo are putting out red buds, and the whole desert is starting to green. There is still a lot of dead foliage about thanks to the drought, but plants that did survive seem to be recovering very well, now that we have had some precipitation. Another rain would do us all some good, though, as the roads are getting pretty dusty again. And while the flowers are very confident that it is now Spring, the thermometer is less certain. The weather keeps bouncing between balmy 70-80 degree days and 60 degree nights, to cold and windy days with near-freezing temperatures at night. Lately we have been having some problems with the birds in our main coop. Since they weren't free-ranging during February, they started eating feathers and picking on each other. As soon as we noticed the injuries, we dressed them with WoundKote and started searching the Internet for ways to remedy the stress and boredom brought on by confinement. You may recall that we used to have a 10x20' chicken run attached to the coop, which provided the birds with shade and space to explore. But the coyote that massacred our chickens last year made short work of breaking into the run before digging under the concrete footing of the main coop. So in desperation we tore down the framework of the chicken run and threw ourselves into fortifying the coop. The coop is now a ferro-concrete fortress, but the girls crave time out in the world with bugs and dirt and seeds and grass. And when they don't have access to those things, they can develop some really bad habits, like feather-eating and picking. The easiest and best solution is let the birds have long periods of time to free-range, but that isn't always a viable option. Because of all the problems we have had in the past, we don't let them out of the coop except when we are working outdoors and are nearby to deter predators. Since the picking started, we have made a point to let them out for at least a few hours each day to explore nature. Time outside the coop has definitely helped, but the best discovery we made is a simple and inexpensive chicken toy that is also a healthy treat. In our neck of Texas, green cabbage will usually cost us about $0.60 per pound, but the entertainment value is priceless. Hanging whole cabbages in the coop provides a fun food source that will keep the girls occupied for hours. The cabbage has the added benefit of improving their nutrition, which means they produce a higher-quality egg, too. We have always given (and continue to give) kitchen scraps to the girls, but living in a desert environment limits the fresh plant material they can eat, even when they are on the range. The can't eat most of the native desert plants, and the grasses that they can eat are limited, and only available some parts of the year. So I suppose this means that the girls may be getting their own dedicated cabbage patch in the garden next season! The graph below shows the battery bank voltage from 12 am onward. You can see the solar input jump up at 9 AM, then the battery bank does an absorption charge, and then finally a float charge. I love the way the alternative energy technology gets better every day. 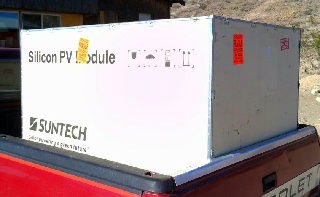 We just received a shipment of Suntech modules. We will take these to the site and unpack them tomorrow. They look really well packaged. Here is a picture of our spread from the left: our home, our shed often containing solar panels, chicken coop, shop, and our future animal barn. 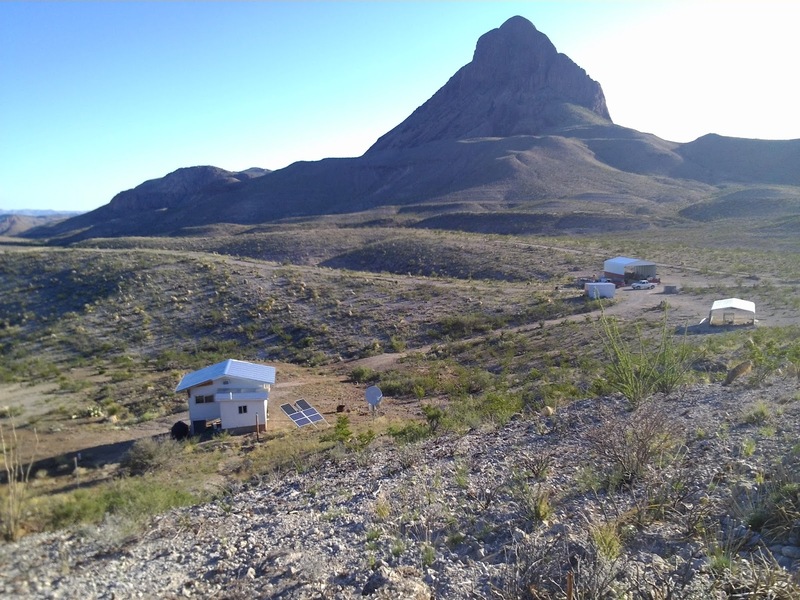 This past November marked the completion of our third year living in the Chihuahuan Desert, and we couldn't be prouder of everything we have accomplished. The birds are all OK, a little frosty and bedraggled, though. We boiled some sugar-water to thaw the drinkers, which they appreciated. Driving was surreal, but we had plenty of traction in Big Red, which has two new tires and 4WD. The visibility is almost nil, so I'm hoping that folks aren't driving around today. We're really glad we drained the water system yesterday, because everything could have frozen. Temperature is still below freezing, but thankfully the breeze is pretty calm.